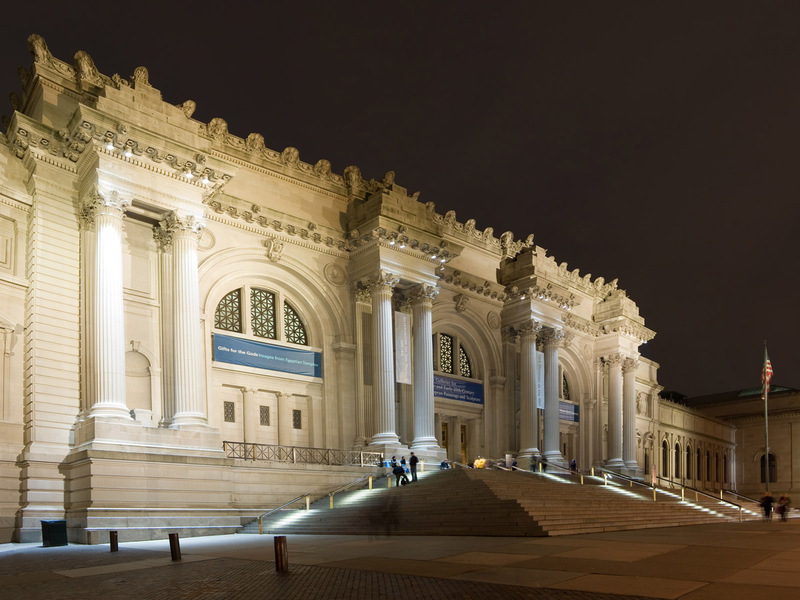 The Metropolitan Museum of Art (also referred to as “The Met” Museum) is found in New York City. It is one of the largest art museums in the world. In total, this museum contains more than two million pieces of art which are divided into 19 different departments. It also has a smaller department in upper Manhattan which displays historic features of medieval art. This museum has a collection of classical antiques, art of Ancient Egypt, paintings and sculptures of the European royals, and also American modern art. It offers exhibits of historic holdings from all of the continents and cultures, including African, Asian, Islamic and many more. It is also an encyclopedia for a full collection of musical instruments, weapons, armor, costumes and accessories from all parts of the world. The Met also has great collection of interiors right from the 1st century up until the modern age of interior design. The making of the Metropolitan Museum is very unique. Many people from different areas and walks of life came together and began forming the museum in 1870. This group included leading businessmen, financiers, and known artists who had a notion of bringing the art and education in front of the American public. It was formally opened for the public in 1872. The Metropolitan is known for its sleekness and rich color contrasts. The unique lighting effect adds an added touch to the polished monuments. Its architectural structure is Gothic and is governed by the local administration of New York. Tourists find this facility an ideal place for spending time with their family and friends. Admission includes Museum galleries, all special exhibitions, guided tours, gallery talks, family programs, and same-day visit to The Cloisters. To help cover the cost of special exhibitions, for which there is no additional charge or special ticketing, they ask that you pay the full suggested amount.